"The Green New Deal" ... there's nothing new about it. The supporters claim it is to keep the world from becoming uninhabitable in 12 years. Gimme a break! It's about government control of EVERYTHING in your life, and guess who would be holding the reins of this unlimited government control. Yes, the new Socialist Party a/k/a the current Democrat Party. Utopian dreams of rainbows, unicorns, and a carefree life. Utter hogwash! Do you like to take a leisurely drive to view the autumn foliage? Forget about it, public transportation is the only acceptable means of transportation. Do you enjoy a nice juicy steak on occasion? Nope, meat becomes obsolete due to the flatulence of the cattle. Do you enjoy the radiance of your fireplace on a cold, snowy day? That's a no go, carbon footprint. Do you endeavor to improve your skills in order to increase your income? What's the point? The government would only allow you to keep so much of it. If you make "too much", obviously you cheated someone out of it. The government guarantees income whether you work or not, so why work? The money has to come from somewhere, so let the suckers who work get their paychecks confiscated. The government will mandate that your home be retrofitted with a solar water heater, home heating unit, and forget about air conditioning ... how extravagant to think that way! The Democrats have lost their collective minds. Venezuela has about a 10,000 % inflation rate from printing money to pay their bills. The problem with that is their money is worthless. The citizens are starving and have taken to eating the zoo animals. Socialism. 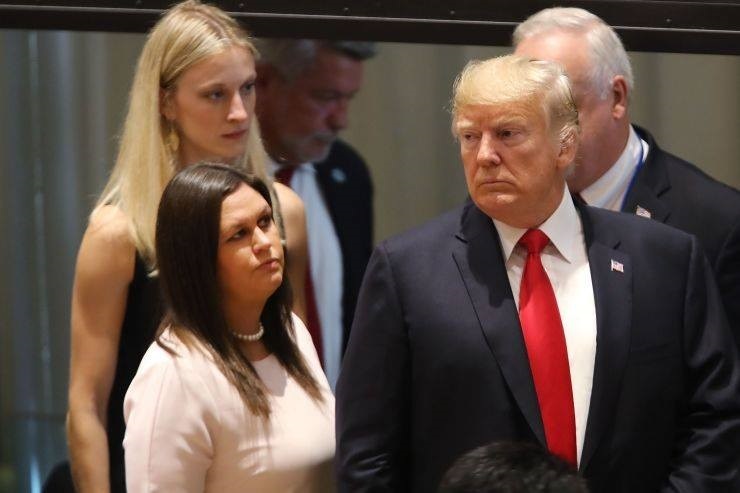 President Trump vowed that America would NEVER become a Socialist nation during his STOTU address. I thank God he holds the reins of this country during this time in American history. Can you imagine what it would be like if Hillary had succeeded at conniving her way to the Oval Office?! Socialism kills ... ALWAYS. We enter in by a vote, but exit only by a gun. Why do you think the Socialist Democrats desire to confiscate all privately owned firearms? The Second Amendment is the only thing that protects us from these tyrants. THINK before you vote and then VOTE! The Socialist Democrats are showing their hand. Take note and vote them ALL out, federally and locally. Their only interests are their own, NEVER yours. The Constitution was written in such a way that it is clear that the government is to work for us, we are not to be mandated to work for the government. Socialism is for all the people to work for "the common good", so what's so "good" about it? For some reason I always seem to go to Sam's Club on the Saturday before Superbowl Sunday. Maybe it's for entertainment purposes. It's usually crowded like the Saturday before Mother's Day. The chicken wing section looked like a tornado had gone through. I spotted a Kitchenaid teakettle that had been discounted by $15. Hmmm... believe it or not, I have never owned one. Into the buggy it went. Sunday morning, I opened up the box, took out the teakettle, rinsed it out, filled it and put it on the stove. It's just me, so I have gone to instant coffee so the kettle should work out fine. As I was breaking down the box to throw in the trash, I saw a booklet in the box. What's this? An instruction manual ... for a teakettle. 36 pages...for a teakettle. 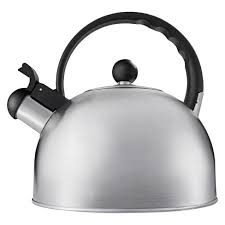 I remember as a small child, my grandmother had a teakettle. Without much pondering or questioning, I understood perfectly how it worked pretty quickly. It's a teakettle! Probably the simplest, most self-explanatory things in any kitchen. And it comes with a 36 page instruction manual. Is it just me, or is this overkill? Now, if they had said the practice wasn't from the early Christian Church and left it at that, I would have said, "OK" and continued scrolling. But that isn't what they said. 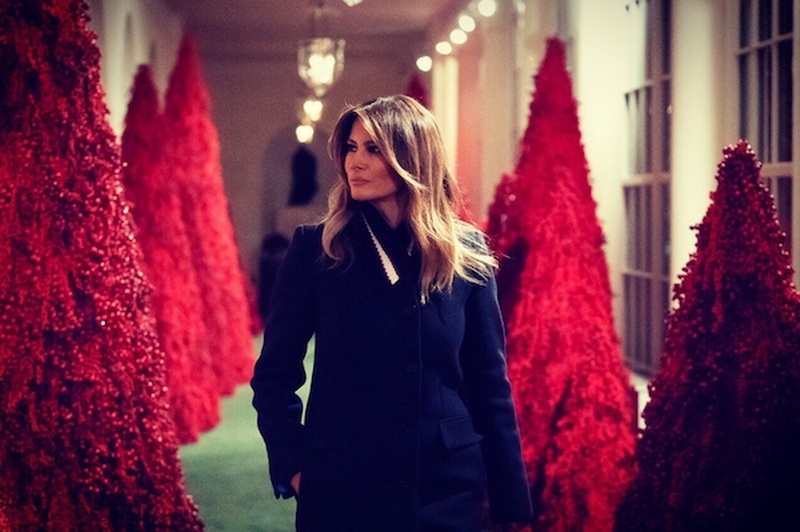 They said, " No, red trees don't symbolize blood of Jesus and the resurrection." Doofi! (Plural of doofus). SYMBOLISM only means something to the one that understands the symbolism. 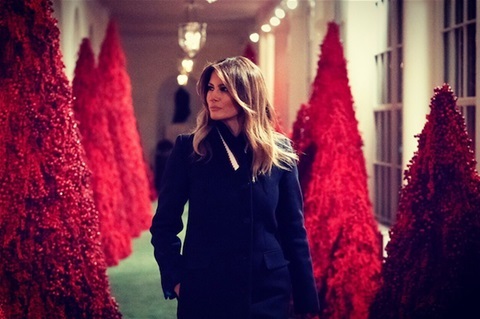 If red Christmas trees cause me to think of the blood and resurrection of Jesus Christ, then guess what, it does indeed symbolize His blood and resurrection. Maybe I'm being picky, but these "fact check" outfits should double check their own work. If a red dyed Christmas tree brings you into remembrance of Jesus and His resurrection, all I can say is, "Merry Christmas and enjoy the splendor of His enormous Gift!" ...and YES, it is a symbol!